As mentioned in October, I got some new panels, so I thought I’d have a quick run at recalculating payback time. No doubt the new, west-facing panels, are having a positive effect on electricity generation. As the days get longer in Summer, clear days are cranking out 2-3 times as much as the house consumes! Of course, its not all gravy, with this last week in December producing two extremely hot days above 36oC (~97oF), followed by two days of rain. The former item consumed a lot of air conditioning, while the latter didn’t generate a lot of PV energy. I’d love to have a Powerwall 2 to ride all that out! But I make do with having a grid connection. The new panels were $1320 including GST. That takes the total system cost to about $18k at this stage, now including 6.5kW of PV, inverter, Powerwall, and Reposit. That is an increase of roughly 8% over the original cost. Generation capacity has increased by 1.5kW / 5kW = 30%. That figure is a bit fuzzy because the existing panels don’t face the same direction as the recent additions. Also, the inverter I have is limited to 5kW of throughput. So chances are I won’t use all of that capacity across the year. Let’s call it 20% as a “real” figure. Regardless, the main point is looking at the cost increase over the capacity increase. Extra funding of 8% has allowed my system to gear up by a potential 20-30% in terms of generation. This shows what anyone experienced with solar will tell you: panels are cheap. Get as many as you can, with the biggest inverter possible. As I mentioned in my last blog post, I now have data on finalised billing to cover about 70% of the year. It shows my electricity cost – including daily connection fees – at roughly 71 cents per day. Summer is yet to be added to this data set. Like winter, the primary environmental control (my ducted air conditioner) will get usage. I also have a pool pump that runs more in summer than winter. Looking at historical bills, I tend to use about 3% more in Summer than Winter. Whether that still holds true depends on a lot of factors, particularly seasonal variance. Maybe we had a warm winter last year? I can’t remember. Alright, so putting my analytical neck on a chopping block, here is what I think will happen. Disclaimer: I am cheating a little in that I have data from Reposit Power to guide me on the days I know about since the last bill. To balance that out, not all my billing days were time-of-use (was on single-rate until August), so I’m flying blind in other ways. As I’m writing this, I have realised just how many moving parts there are! This is going to be tricky, so let’s start with actual data. Looking at the Statistics page of the site, fed by SolarEdge API, I can see my lifetime system statistics. All of which is very interesting to look at, but only two matter; import versus export. These two factors are Summer in a nutshell. Increased import, possible reduced export. The daily average covers each day in the last week (up to 16th December, inclusive). If we add the 3% increase I am predicting for summer from my historical billing, it doesn’t change the import much. The lifetime import has only been around 3kWh per day, so 5.47kWh per day represents an increase of 2.5kWh. With peak tariff, this could be as high as 90 cents per day! Shoulder rate and offpeak rate make it 69 cents and 35 cents respectively. I also need to factor in that Reposit Power imported a few offpeak kWh on Friday morning, so will call the extra import 2kWh per day. I’ll use the peak tariff rate to established increased costs of 75 cents per day. On the flipside, I don’t think the 9kWh export figure is accurate due to the amount of cloud we had over the two days. The lifetime average is about 11kWh. To this, we add the 20% of our extra generation capacity to arrive at 13kWh per day. Yes, I agree. However, we’re now hitting peak summer, so given my 20% figure was a fuzzy projection, based on 30% increase in capacity being the limit, I think it still works. Again, looking at the statistics, you can see the 28-day retrospective is 13.92kWh. So I’m sticking with about 13kWh per day, keeping in mind I’ll be self-consuming a bit more than usual with the pool pump running. An extra 2kWh per day exported is 16 cents in reduced costs. Combine the two of those, and we had 75 – 16 = 59 cents per day. This is extra, over the historical average of 71 cents per day. This brings us up to $1.30 per day for the summer bill. Remember, I proposed a 3% increase of Summer over Winter, based on historical billing. The “Winter” bill I received back in September was $1.27 per day. If you add 3% to that, you come out at $1.31 per day, so I’ll be keen to see if I get that close to my estimate of $1.30. But What About Payback Time? Very good question. I’ve just added $1320 capital cost to the system, and spent the last couple of hundred words speaking about Summer only. Using the summer figure I calculated above, and wrapping that up into the billing I’ve received, puts the annual cost of electricity at my house around $310 as I’ve stated previously. That is a saving of roughly $2k per annum over my old billing from last year. With the system cost now at $18k, that is a 9 year payback on simple calculations. However, Autumn and Spring are the counterpoint to the Summer and Winter electricity burn for cooling/heating. Those times of year need to be exploited. If my exports climb by 20% for both those seasonal bills, then the gains per year could be quite gratifying. The two bills I have for these periods work out to 59 cents per day (March-June using single-rate tariff), and 24 cents per day (August-October on time-of-use). The other key factor was full operation of Reposit Power with TOU tariffs, with is another massive advantage along with GridCredits. I can import very cheap power for anticipated poor days of PV generation. Along with the extra generation capacity of my new panels, this shunted the power per day figure down by nearly 60% for Spring over Autumn. If this holds for next year, and the Autumn power bill goes down to under 25 cents per day, it will mean for half the year I’m paying $44 for electricity. For the other half (Summer and Winter) I might be paying about $240. An annual power bill of $282 sounds a lot better than the $2300 I was paying a year ago. And shifts simple payback under 9 years, by a few months. The addition of these panels doesn’t look like a big deal on the face of it, but I’ve been fairly conservative in a lot of estimates. I haven’t taken into account any GridCredits I receive, or the Diamond Energy Customer Referral fees I might get. So perhaps under 8 years is possible once the whole-of-environment changes are considered. I’d like to thank everyone who has popped in for a look at the blog this year. Thanks for the connections on Twitter as well! It has been quite an interesting 11 months since I got the Powerwall installed, and I’ve certainly learned a lot. I have made an effort the last few years to put up Christmas lights, and copped sunburn, cuts and scrapes doing it. But its definitely worth it for the look on the faces of the local children. I would like to wish you and your families a safe and happy holiday season, wherever you are. It has been a hectic couple of weeks, after the release of my first quarterly power bill. I’ve been on radio, TV, in print, and sprayed around the internet. Its a bit like the install day back in January, but obviously with a dollar figure attached. Despite that, there is still a lot of people ready to step up and put the boot into Powerwall, and lithium storage in general. I will never fathom why these parties are against progress, so I don’t read into it too much. During that time the world rolled on, and it appears renewable energy, particularly solar hybrid, has been going from strength to strength. One tweet in particular caught my eye, from Noah Smith. 2010: "Solar will never be viable without subsidies!" 2013: "Solar will never be viable without storage!" The Telegraph article linked by that tweet, written by Ambrose Evans-Pritchard, is an interesting discussion on battery storage as it affects the landscape. It is also a bit of a dig at the Hinkley Point nuclear project in England. I wrote something previously on Nuclear Power, so without a re-hash I will reiterate: I AM NOT ANTI-NUCLEAR. However, I did point out there are significant financial hurdles to overcome in Australia. Leaving aside the social issues, that is. Three paragraphs in the article from Evans-Pritchard got me thinking. Perhaps the Hinkley project still made sense in 2013 before the collapse in global energy prices and before the latest leap forward in renewable technology. It is madness today. The latest report by the National Audit Office shows that the estimated subsidy for these two reactors has already jumped from £6bn to near £30bn. Hinkley Point locks Britain into a strike price of £92.50 per megawatt hour – adjusted for inflation, already £97 – and that is guaranteed for 35 years. That is double the current market price of electricity. The NAO’s figures show that solar will be nearer £60 per megawatt hour by 2025. Dong Energy has already agreed to an offshore wind contract in Holland at less than £75. Those are some pretty compelling numbers, but the reasons why it got me thinking relate to my own work life. I’ve been an IT guy for a living nearly 20 years now, working mainly in databases where I can help it. I’ve seen almost every tech acronym or buzzword put into practice, sometimes very poorly. Or for the sake of change. One of the better periods was back in the day, when the technical stuff was held apart. I like the imagery that Neal Stephenson uses in Cryptonomicon – IT guys were like the Dwarves in Tolkein; working away in the dark, hammering out things of beauty like Rings of Power. The company (Elves) would frolic up to the entrance of the forge, beseeching the Dwarves for a solution. The Dwarves would give a range of timelines and costs, and the Elves would pick one. We’d go into the forge, create what they wanted, and the land was content. With advances in technology, and the hunger for globalisation, things needed to move faster. Thus, “Agile” was born as the new way to do things. Generally speaking, the move to Agile is positive from my point of view. It seeks to guide the Good Ship Project through the icebergs as each one appears, not assert a course from Day 1 and expect no issues with implementation at all. As long as Agile is implemented the right way, it can do good things. There is a caveat though, and the seed of this started with smart devices in my opinion. If we’re ever having a beer, talking shop, I’d pinpoint smart devices as disruptive in more than just a good way. Now non-technical people see an awesome app for $1.99 and wonder why projects still cost millions. As a result, they demand more. Agile has collided with this belief that speed of delivery, and convenience, is cheap. Non-technical people don’t necessarily understand the systems. They’re trying to tell the developer how to do their job down to the finest detail. That isn’t actually helpful. Dear Managers: right now, there IT guys reading this, and nodding their heads. Maybe muttering. Likely, swear words and dark thoughts are being countenanced. One thing that holds true of IT projects, energy infrastructure, and pretty much anything down to a backyard deck, is the Quality Triangle. If you are going to implement or change the project in terms of finances, timeline, or scope/size, then you have to accept it will affect the quality of the outcome. Aiming for all three is purely theoretical, in my opinion. As with the recent Census Fail incident in Australia, sometimes it doesn’t matter how many resources you throw at a project, or how long it runs. The excreta hits the rotary ventilator, and its time to put out fires. Hinkley Point C is subject to some base requirements, but the main one is the generation of 3200 MWe from a nuclear reactor. Not the biggest in the world but still a mighty undertaking. Once you’ve decided it will generate that much, you’ve set your course. A prescribed amount of effort, human resources, and other elements must go into it. Critically, the reactors will be of a certain size and type, and you’ll pay the capital cost of that regardless. … the estimated subsidy for these two reactors has already jumped from £6bn to near £30bn. Hinkley Point locks Britain into a strike price of £92.50 per megawatt hour – adjusted for inflation, already £97 – and that is guaranteed for 35 years. In Australian terms, that is $160 / MWh, which is frankly ridiculous. All of this points to the fault lines emerging in “baseload” power argument. Not only is “base” power a myth, but the agility of these big power generation units is practically nonexistent from conception through to decommission. As Hinkley Point C, and Finland’s Olkiluoto construction debacles show, centralised nuclear power might be green, but it isn’t necessarily going to stand the test of time, economically. Technologies I have seen work, or worked with directly (like Reposit Power) show us that agility is the biggest factor in any tech marketplace today. And let’s not kid ourselves: energy delivery is now a technology field. This is particularly true of renewable energy, which eschews the old school sledgehammer approach to power generation, in favour of smarts. Smart use of power, smart direction of power, are going to be the big players moving forward. It starts with domestic applications, such as Tesla Powerwall, and smart management to deliver benefits for the home owner. Beyond serving one household, it has the potential (and in some ways, the obligation), to serve the wider community. This is achieved by using the battery as a trading platform. Benefits abound for the network willing to engage with customers, as I discussed in May. Reduced overall costs and waste benefit everyone in the longer term. This move toward smarter storage also helps address the business sector. The power needs there are large, and despite being mainly during the day, will not going to tolerate the intermittent fluctuations of solar PV and wind. Storage using batteries is one leg of the argument, across a various range of chemical makeups. 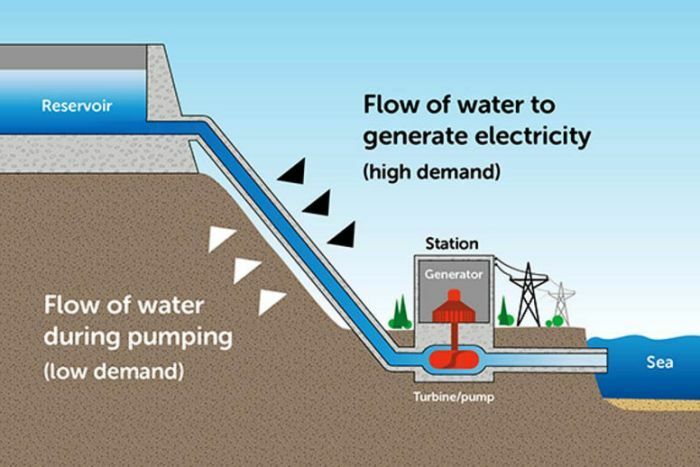 Energy storage like pumped hydro can also assist deliver stable power on a larger scale. The big one for Australia should probably be molten salt reactors, particularly for South Australia, which has suffered issues recently. Certain industries have scope for change today. Heavy transport, and transport in general, is already under the microscope in nations like Sweden, where they seek further reduction in carbon emissions. Electric Vehicles take carbon off our roads and out of the manufacturing process through a simpler template of construction. If you don’t believe that, think about the amount of metal required to build a drive train for a petrol engine, versus an EV’s battery & motors setup. How do we address the remaining heavy industry players, and areas outside domestic power supply that aren’t easily converted to renewable technologies? Critics of renewable energy sources often derisively quote land area required for building large-scale generation. Regardless of whether its wind, solar PV, pumped hydro, molten salt, or another method, a “farm” for renewable power will take space, that is true. Renewable energy projects are much simpler to implement from an engineering point of view, compared to a nuclear reactor. They are also more flexible. A nuclear plant, once scoped, has very little opportunity for changing the Quality Triangle. It also isn’t going to get much more efficient if you delay implementation, because the technology is largely static. Manufacturing issue with your solar PV arrays? Let’s just get less panels for now. They’ll be cheaper later on, or more efficient, anyway. Dispute over one of your wind turbines? Fine: proceed with the rest of the farm until the outcome is known. These are two examples (there are more) where the scalability of renewable energy creates a huge advantage. The unit size of a wind turbine, or a solar array, is in no way limiting for people who know how to implement them. Pumped hydro and molten salt reactors are similar to traditional power stations, in that their capacity is roughly determined at time of construction. The key difference is they are primarily storage, over and above being generation. They don’t need to be on all the time, only engaged when other resources are running low, or as demand spikes. This is another advantage over “baseload” coal or nuclear, which cannot uplift to address demand spiking. Only gas-fired stations have this ability at the moment. The surging price for gas, as well as its status as a fossil fuel, renders it a short-term option at best. You cannot simply build a traditional network and throw more and more renewables at it until you reach a very high number. Coal in Australia has been built to over-capacity, resulting in wasted capital expenditure, and poorly managed outcomes. Witness the issues South Australia has at the moment, because of short-term thinking around renewable energy integration. We need “smart” implementation of renewable energy projects. Flexibility must remain a core tenet of implementing this intelligence. As Evans-Pritchard covers in his article, there are many storage options in development across the world right now. We’re in a period of real transition where more options will blow the marketplace right open. This requires the right thinking, to engage renewable sources on a far larger scale, holding hands with storage options of all kinds. Markets will shift rapidly. Consumer needs, particularly in the developing world, will have no need, and no money, for sledgehammer tactics like “baseload” power. With the right people at the wheel, concerns over our energy needs, and the perceived shortcomings of renewable energy, needn’t be a concern. As I’ve been hinting for a while, the first bill has landed – Billing Awesomeness Powerwall Style! The guys at Natural Solar and I have been jumping out of our skins to get this moving, but all good things in time. I’d better come clean – technically this isn’t the “first” bill. I actually got one over a month ago, which only covered 35 days due to various scheduling issues with the meter changeover and reading. And don’t get me wrong: that 35 days was a very small amount, particularly as my last summer bill was $660 (!!! ), but I felt it best to wait and see. Now that we have a quarterly amount, which also lines up roughly with the same billing period last year, I (and everyone watching) can compare apples more easily to apples. Of course, I’m a fine and upstanding citizen (stop giggling), so I paid on time to get the appropriate discount under my plan. Not too shabby, but as always, it isn’t the whole story. The 2015 bill overlaps the 2016 period by a few days at each end, so this is only a fair comparison if we look at the number of days on each bill. Hey let’s do that to FOUR decimal places! So… yeah… that’s 59 cents per day for electricity. And if you recall my ROI/payback article from April, you’ll know that under Diamond Energy single rate plan I pay a tick over 82 cents per day for connection, so I’ve even reduced the connection fee by a fair whack. That makes it pretty clear that I was smashing out the solar power with extreme prejudice from my 5kW array. The final number was a tick over 3 kWh exported for every 1 imported. Always going to look good when you’re getting 8 cents for export, from the legends at Diamond Energy. I will throw in here: that bill doesn’t contain a single GridCredit sale, either. Nor does it contain any off-peak (TOU) power. That is pure, single-rate, import versus export. And I think I could do better, but we’ll get to why that is later. I suppose it was a pretty mild weather period, but then in Sydney for the Autumn period that’s not unexpected. Note that because I don’t see how much I consume on the bill, I’m having to use the data generated by the SolarEdge API. In my experience so far it is fairly accurate, though it has a small degree of variance due to updating on the quarter-hour, as I understand it. A good reduction in usage, due in part to having a couple of new devices we needed to replace, like the oven. The old one was listing badly to port, in naval terms. That reduction is also about learning my consumption patterns via the SolarEdge and Reposit Power portals, and coming up with the best way to eliminate waste. I’m also paying a bit less for my power overall since changing providers, but as I’m only importing around 3kWh per day, that is of negligible effect on terms of cents per day. The connection fee is only a tiny percentage different. Critics will be quick to jump in at this point, with smugness, clamouring that its NOT just the Powerwall. While that is a fair point, at the same time, they should not be dismissive of the lessons the system has taught me. To digress into simile for a moment: I went to University, and it cost me a lot of money, but it didn’t get me a job; it gave me a mindset, problem solving skills, and the experience of those who were my educators. Likewise, I have not just purchased a battery, but an entire solar PV system with smarts. With it, I have been given the opportunity to generate, store, and export that energy. I can access new energy trading markets such as GridCredits. Most importantly, I have a new way of thinking, evidence to track my progress, and help from a range of people across the industries involved. The battery, by itself, doesn’t deliver miracles, not was it ever intended to. 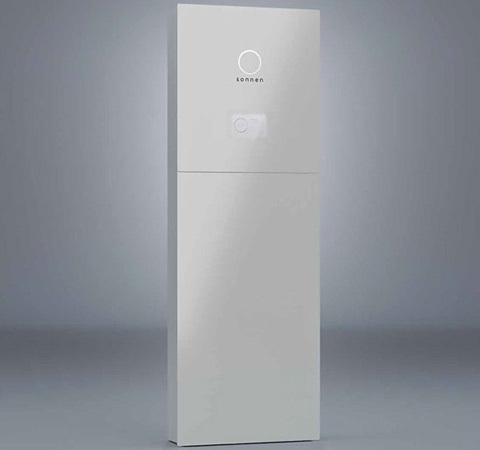 I’ve made it very clear from early on that there were tangible benefits to the Powerwall. The power shifting aspect of the battery is extremely important to reducing my import requirements. I don’t get Gross Tariffs, so moving what I can to the daytime is great. BUT we don’t get to spend our whole day at home (the kids would drive me up the wall), so there needs to be other ways to reduce or offset that cost. That’s where the Powerwall takes over. The ROI blogs I’ve written state quite clearly that any household could save money by making simple changes. Smarter devices. Better practices. Maybe a new billing provider. It didn’t matter whether they had even had solar PV, much less a battery. A household with Solar PV on Net Tariffs has probably learned some of these lessons already. For them, the cost of a battery is a marginal prospect today but is certainly on the radar. A household with Solar PV and Gross Tariffs in NSW is probably looking for “what next” as they lose those benefits at the end of the year. Perhaps they haven’t had to think about these factors, but they probably will (and I know some who are), once they start actually importing power at a cost ratio which reverses Gross Tariff costs. I just look at the FACTS: I’m saving about 90% on my power bills. I’m making my household greener than it was, through waste reduction and buying green power. I’ve been asked to relate my experiences at conferences, schools, and work places. People are interested in this technology, and want to see it in action before they commit. Hopefully this kind of real-world data, even if its only one site, will help. As a side note, based on this one bill, the return is in the order of 10%. Extrapolating that, factoring degradation versus increase in power costs, the 10 year window on my warranty is looking pretty safe. billing. That way, I can start really getting the most out of the Reposit Power software to drive those costs down even further. Billing Awesomeness Powerwall Style, away!